You will receive regular email updates on specials, new products and maintenance tips for your Ram Turbo Diesel pickup. We value your privacy. Your information will not be shared with third parties. You may unsubscribe at any time. One of our best selling items is the Haynes Repair Manual for the Dodge Ram pickups. The staff likens this manual to the "Cliff Notes" used by students in lieu of reading the entire book. However, there are times when you need the detail of the 1993 Dodge Factory Service Manual (yes, the same one you can order out of the back of your Owner's Manual). 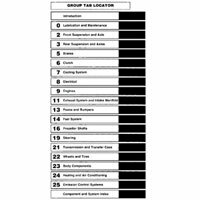 The factory manual is the authoritative source for specifications, reuse, wiring, and diagnostics. 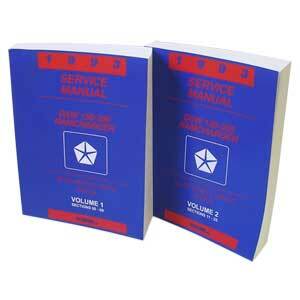 Every Dodge Turbo Diesel owner who does their own maintenance should have the factory manual. Products are always as expected!!! This 2 volume manual is worth every penny. Thanks for not forgetting about the first gen guys! The manuals were exactly as described in the catalog. They arrived promptly and in excellent condition. I look forward to do more business with Geno's. Products and prices subject to change without notice. "Thank you! My order with the catalog, popcorn, and decals! Great company! It's like Christmas!"